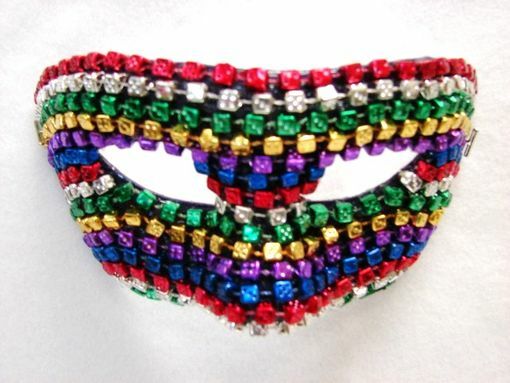 This One of a Kind hand made beaded mask is made out of paper mache & is adorned with dice beads. Comes with ties for easy wear. Also comes in Mardi Gras colors.